Massachusetts Institute of Technology , 2001. Intern in Internal Medicine, University of California School of Medicine, Los Angeles, 2001-2002. Resident in Neurology, University of Pennsylvania, 2002-2005. Fellow in Cognitive Neurology, University of Pennsylvania, 2005-2007. American Board of Psychiatry and Neurology, 2006. American Board of Psychiatry and Neurology, Maintenance of Certification (MOC), 2016. My research focus is on the characteristics and limits of functional neuroplasticity in the adult human brain. I investigate how the brain reorganizes itself in response to injury, and whether or not it is possible to enhance the brain’s potential for reorganization in order to speed rehabilitation using noninvasive electrical or magnetic brain stimulation. A second area of interest for me is on the use of noninvasive brain stimulation to elucidate and enhance mechanisms of cognition in healthy individuals, and the biological, social, and ethical implications of neural enhancement. I principally treat patients suffering from dementia. I also have expertise in evaluating and treating patients with cognitive deficits following stroke. I am is deeply involved in issues related to diversity in medicine, inclusion, and health equity. 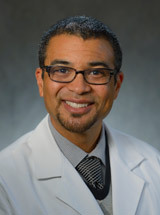 I am one of the Assistant Deans for Diversity and Inclusion at the Perelman School of Medicine and I am the Vice Chair for Diversity and Inclusion in the Department of Neurology at the University of Pennsylvania. Hosseini, M., McConathey, E.M., Ungrady, M. Grossman, M., Coslett, H.B., Hamilton, R.H. : Transcranial direct current stimulation mediates improvements in verbal fluency for patients with primary progressive aphasia (published proceedings). Brain Stimulation 12: e69-e70, 2019. To, C., Falcone, M., Loughead, J., Logue-Chamberlain, E., Hamilton, R., Kable, J., Lerman, C., Ashare, R.L. : Got chocolate? Bilateral prefrontal cortex stimulation augments chocolate consumption. Appetite(131), 28-35, Dec 2018. Medaglia, J.D., Harvey, D.Y., White, N., Kelkar, A., Zimmermann, J., Bassett, D.S., Hamilton, R.H. : Network controllability in the inferior frontal gyrus relates to controlled language variability and susceptibility to TMS. Journal of Neuroscience 38(28): 6399-6410, Jul 2018. Choy,O., Raine,A., Hamilton, R.: Stimulation of the prefrontal cortex reduces intentions to commit aggression: A randomized, double-blind, placebo-controlled, stratified, parallel-group trial. Journal of Neuroscience 38(29): 6505-6512, Jul 2018. Shah-Basak, P.P., Chen, P, Caulfield, K., Medina, J, Hamilton, R.: The role of the right superior temporal gyrus in stimulus-centered spatial processing Neuropsychologia 113: 6-13, Mar 2018. Irwin, D.J., McMillan, C.T., Xie, S.X., Rascovsky, K., Van Deerlin, V.M., Coslett, H.B., Hamilton, R., Aguirre, G., Lee, E.B., Lee, V.M.Y., Trojanowski, J.Q., Grossman, M.: Asymmetry of post-mortem neuropathology in behavioral-variant frontotemporal dementia Brain 141(1): 288-301, Jan 2018. Harvey, D., Podell, J, Turkeltaub, P., Faseyitan, O, Coslett, H.B, Hamilton, R.H. : Variable bilateral neural network changes underlie sustained improvements in language following rTMS in chronic post-stroke aphasia. Cognitive and Behavioral Neurology 30(4): 133-144, Dec 2017. McConathey, E.M., White, N.C., Gervits, F. Sherry Ash, S., Coslett, H.B., Grossman, M., Hamilton, R.H.: Baseline performance predicts tDCS-mediated improvements in language symptoms in primary progressive aphasia. Frontiers in Human Neuroscience 11(347), Jun 2017. Norise, C., Saccetti, D., Hamilton, R.H. : Transcranial direct durrent stimulation in post-stroke chronic aphasia: The impact of baseline severity and task specificity in a pilot sample. Frontiers in Human Neuroscience 11(260), May 2017. Hung, J., Bauer, A., Grossman, M., Hamilton, R.H., Coslett, H.B., Reilly, J.: Semantic feature training in combination with transcranial direct current stimulation (tDCS) for progressive anomia. Frontiers in Human Neuroscience 11(253): 1-12, May 2017.